Elegantly designed iPhone & Apple Watch Power Dock with Smart LED Lamp, optional NuKi Portable Battery. 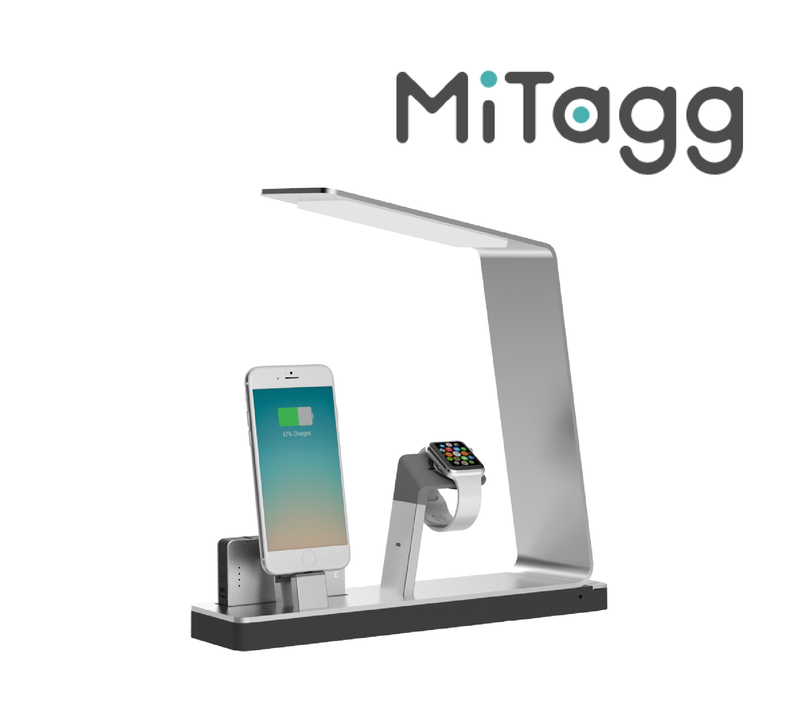 Beautifully designed power docking station provides a solid foundation for your iPhone and Apple Watch with an elegant minimalist design featuring a multifunctional smart LED Lamp. Made from the highest quality materials fea- turing a solid Aerospace Aluminium construc- tion with a Polycarbonate base, coated in a soft-touch rubber finish complimenting the Apple design look and feel. We understand the need for a rapid charge, we integrated three USB charging ports for the iPhone, Apple Watch and additional port at the back to charge any other USB Devices such as your iPad or Kindle. Our touch sensitive control allows you to adjust the brightness of the LED light as well as offering automatic 1 Hour Sleep Mode.